I had been warned a little time ago that the Treasury officials working on the long-term economic analysis of Brexit were twenty-something brat packers with a knowledge of the Efta/EEA option which matched that of Simon Carswell. And so it turns out to be, with these children declaring that: "the EEA-type scenario would mean staying in the Single Market, implementing new EU legislation automatically and in its entirety, and continued free movement of people". And, as if that was not bad enough, they go on to tell us that the EEA-type scenario "would not meet the Government's commitments to ensure no hard border between Northern Ireland and Ireland". Strictly speaking. Of course, the EEA Agreement alone would not solve the Irish question. To afford frictionless trade, we would also need a package of bilateral agreements with the EU, along the lines negotiated by Norway – in some instances going much further. Additionally, we would need to modify the Agreement, with country-specific protocols (and a number of amendments in the Annexes). With those, we would not only have a solution to Ireland but would be able to exercise greater control over freedom of movement. Thus, to aver that the Treasury analysis is inadequate is not unreasonable. But one could go a lot further and assert that it was fundamentally misleading. Specifically, it fails to take into account policy developments which could substantially enhance the UK's trading position. Only to a very limited extent does the analysis even recognise this as a possibility. The authors write that modelling cannot predict how the UK economy will perform in the future, "not least because the UK's exit from the EU will be just one of a number of factors impacting economic growth". To that, they add: "No modelling can completely capture the complex ways in which the UK economy could be affected by exiting the EU, particularly given the unprecedented circumstances of the UK's departure". On that basis, when we look at the headline claim made by Philip Hammond that the UK will be worse off "in pure economic terms" under all possible Brexit outcomes, it is easy to argue that the chancellor is being more than a little speculative – and erring on the side of pessimism. Here, one has to accept that the whole point of Brexit was to open up a range of opportunities that either didn't exist or could not be exploited while we were members of the European Union. Thus, one would want to see in any analysis an acknowledgement, at the very least, that there is a possibility of benign consequences arising from post-Brexit policies that the government might adopt. By that measure, none of the conclusions drawn by the Treasury, on the basis of their modelling, are at all valid in the longer term. The exit strategies that they use for their modelling are precisely that – exit strategies. They do not define long-term policy and to use them for that purpose is to fail to understand that they may be just platforms, from which we can develop and expand our own interests. This is the point that Nick Boles and his fellow travellers have completely missed in their current advocacy of "indeterminate" membership of Efta, with continued participation in the EEA. In our Flexcit plan, it was never intended that these states should be the final objectives. Rather, as an Efta state working from inside the EEA, the idea was to seek improvements which would benefit the UK and other trading nations. The first and most obvious move would be to encourage Switzerland to re-join the EEA. Although the Swiss rejected membership in a referendum, the deal they ended up with in many ways is inferior to that which the other three member states enjoy. However, a significant barrier to Swiss entry is the lack of co-decision for new legislative measures, But since bringing back Switzerland into the fold would be to the advantage of the EU, the UK might be able to convince all the parties to accept new voting arrangements. Next on the list might be to bring Turkey into the EEA. It is very clear that there is no longer any enthusiasm either in the EU or Turkey for full membership, but there would be huge benefits in a deeper trading agreement. The EEA Agreement would provide the ideal template. It is unlikely though that Turkish entry to what is a Nordic-Alpine club – the normal precursor to non-EU entry – would be acceptable to the Efta states. We would, therefore, have to reform the EEA in order to expand it from its current status to an agreement of wider scope. That might mean asking UNECE to take on the role of managing the agreement for the non-EU states, in place of the Efta secretariat. Then, the larger EEA could invite more members – the former Yugoslav states which are not yet in the EU could be prime candidates. And states with existing agreements with the EU, such as the Ukraine, might be brought into the fold, expanding the scope of the Single Market. Once UNECE is managing affairs on behalf of non-EU EEA members, and already acting for both them and EU Member States on certain legislative issues - such as vehicle construction standards, inland waterways, environmental issues and marketing standards for agricultural produce - it could then be asked to take responsibility for other areas of the Single Market acquis. Relatively uncontentious issues such as waste management spring to mind. Within the organisation there already exists WP.6 - the Working Party on Regulatory Cooperation and Standardisation Policies. This has the administrative infrastructure and capabilities to initiate, develop and then promulgate standards on a wide range of issues. It is performing tasks once reserved for Brussels which the EU is increasingly willing to transfer to the larger forum, enabling it to focus on its political agenda. As is currently the practice, UNECE members would then implement standards as legislation in their own territories, with the European Commission acting on behalf of EU Member States in producing harmonised regulation for them, within the framework of its own regulatory "ecosystem". In taking advantage of the wider scope afforded, one should recall that the United States and Canada are also members of UNECE. There is no United Nations economic commission for North America so the European body serves this area as well. Thus, when looking to expand trade relationships between Europe and North America, UNECE is an obvious and trusted forum. Here, rather than seeking limited gains through free trade agreements UNECE is well-positioned to broker global, sector-specific agreements such as the UN's Globally Harmonized System of Classification and Labelling of Chemicals (GHS). Now used as the template for EU legislation, this type of global instrument is where the real gains in trade facilitation are to be made. Even limited developments in the harmonisation of pharmaceutical standards could deliver billions of dollars in savings to the world trading community, while adoption by the United States of such initiatives as the UNECE common global standard for passenger car tyre standards – adopted by the EU as a General Safety Regulation - would also be worth billions. The point has been made that there is far more value in such global agreements than there is through the limited process of concluding bilateral free trade agreements. This is where trading nations – and especially a post-Brexit UK – needs to be focusing its attention, made possible by its withdrawal from the EU. The overarching conclusion to draw from this is that we should not be treating Brexit as a process of adopting one or other of an existing range of options. Rather, we should be looking forward to using our new status to expand trading opportunities, to innovate and to act on a global scale. 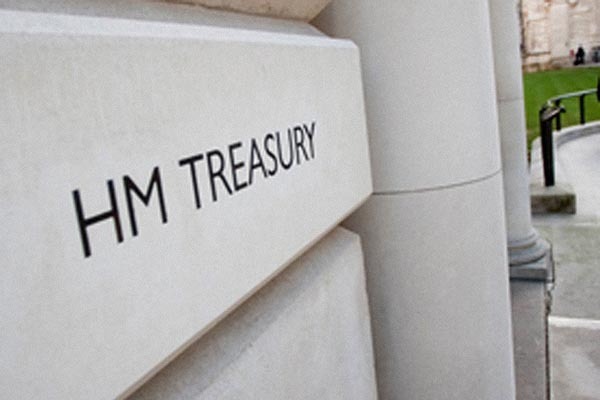 If all the Treasury can do is trudge wearily over well-worn territory, it is only to be expected that it will find that Brexit involves a cost to the nation and a loss of GDP. One can understand the findings in respect of a "no deal" scenario and, if anything, the parallel report by the Bank of England - based on its own modelling - understates the dangers of this outcome. But if the more positive view is taken, it can be conceded that there are real opportunities for the UK to drive a renaissance of global trade, with potentially huge economic benefits. It cannot be the case that the only possible long-term consequences of Brexit are negative. What we are seeing, therefore, in this latest tranche of modelling is a failure of imagination and a loss of nerve – not only in Mr Hammond's department but in the wider political community. The collective has shown itself unable to look at the bigger picture and cannot see that there are opportunities afforded by Brexit. When the media also is unable to lift its sights above its obsession with the narrow, soap opera drama of Westminster, it is hardly surprising that the public is unenthused. If ever there was a time for political vision, it is now. The big question is whether there is anyone of stature capable of stepping up to the plate.